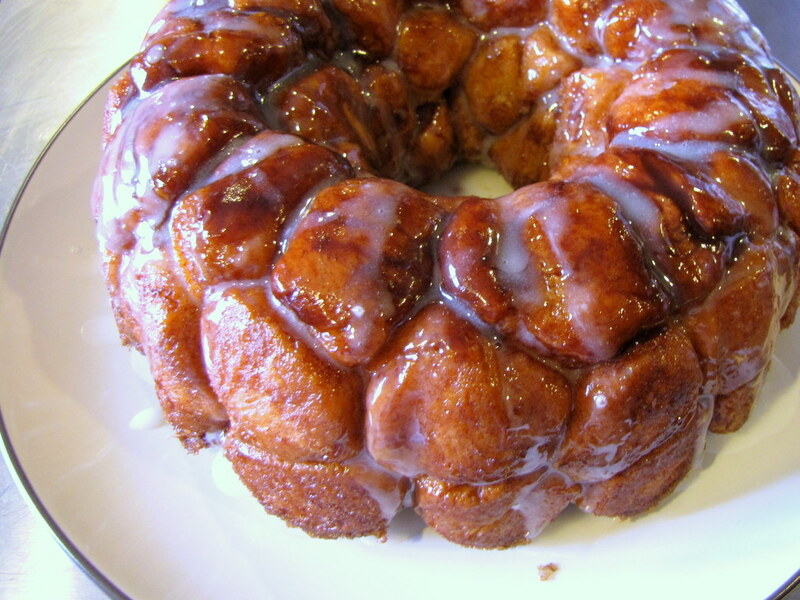 I’ll be posting a recipe a day all this week, and this time around I’ve decided to start with breakfast and work my way to dessert. 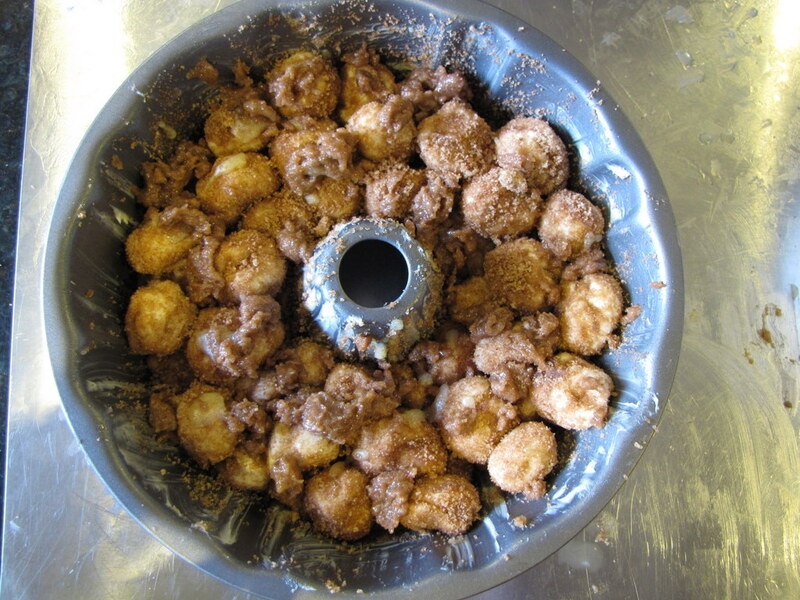 And this is the most amazing thing I have ever made. Ever. EVER. 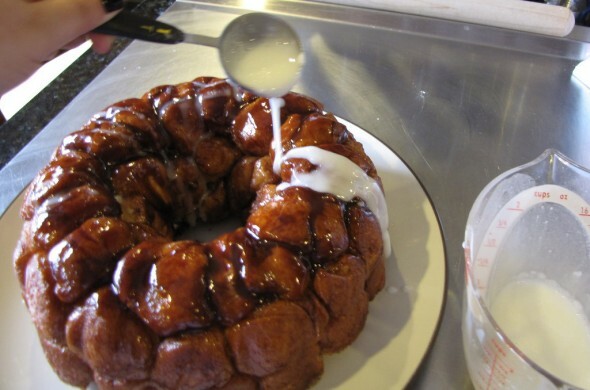 I made this for breakfast last Sunday, and I literally got up at 7am to start it. It is time consuming, with lots of stops to let the dough rise, but once we finally dug in sometime around 10 or 11, it was pure heaven. A perfect Sunday, we watched the Malaysian F1 Grand Prix and picked at this for hours. 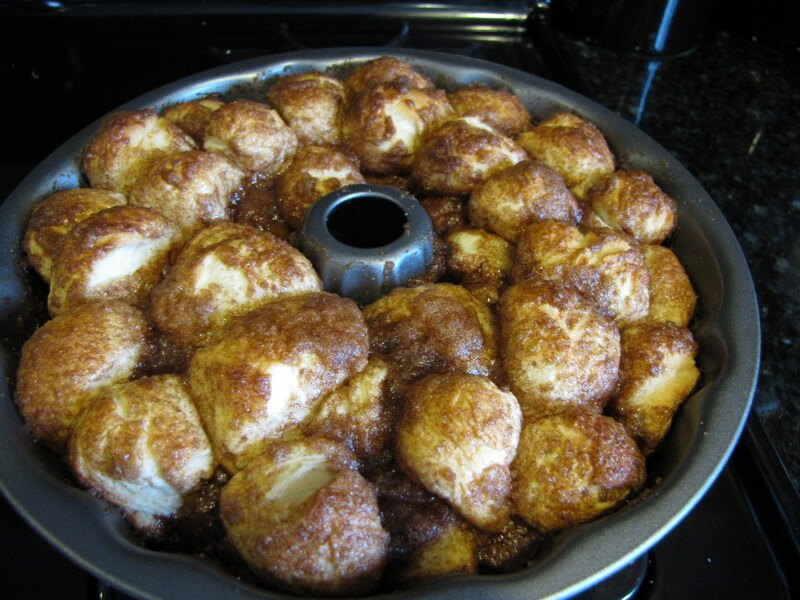 It tastes like cinnamon rolls, but in an incredibly fun pull-apart form. So awesome. But also huge, I think this might be the new Reeve family Christmas morning treat for when we have family over. Mix flour and salt in standing mixer fitted with dough hook, (see below for making Monkey Bread without a mixer). 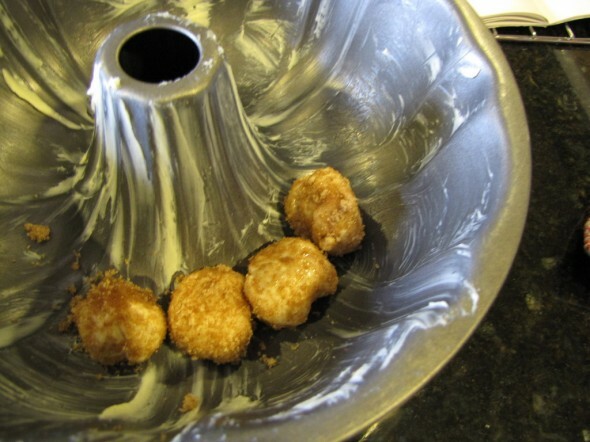 Turn machine to low and slowly add milk mixture. 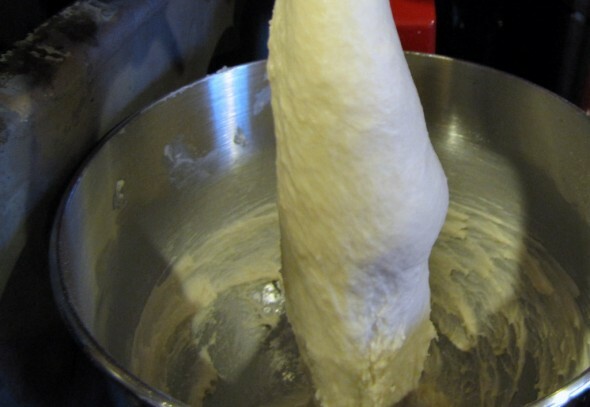 After dough comes together, increase speed to medium and mix until dough is shiny and smooth, 6 to 7 minutes. 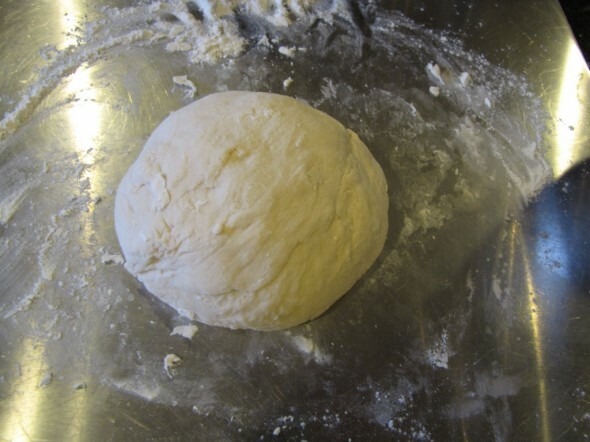 Turn dough onto lightly floured counter and knead briefly to form smooth, round ball. Coat large bowl with nonstick cooking spray. 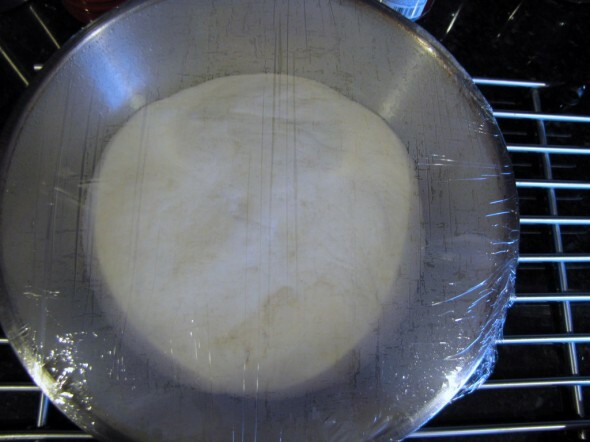 Place dough in bowl and coat surface of dough with cooking spray. 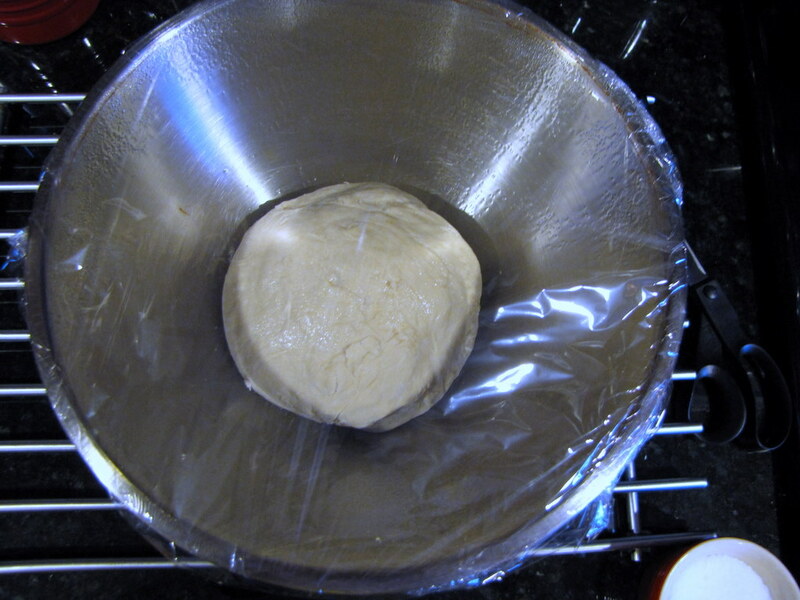 Cover bowl with plastic wrap and place in warm oven until dough doubles in size, 50 to 60 minutes. 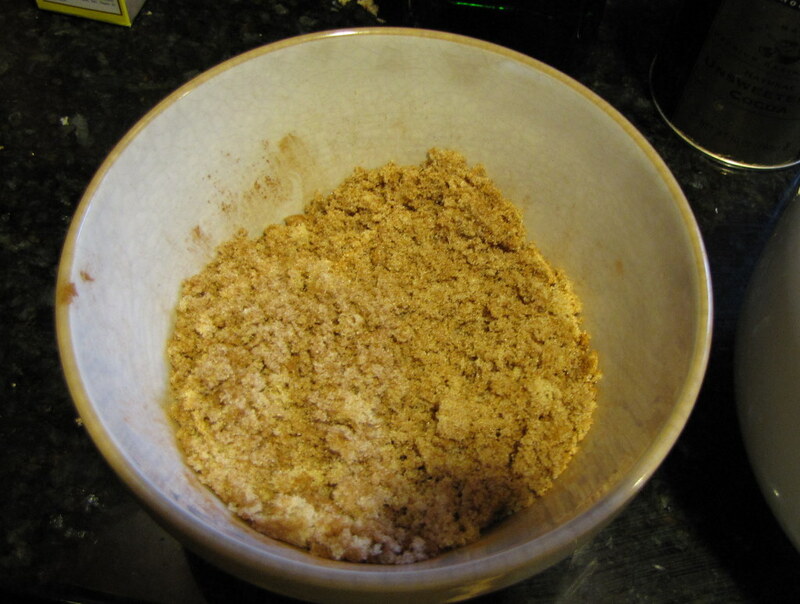 While dough is rising, mix brown sugar and cinnamon together in bowl. 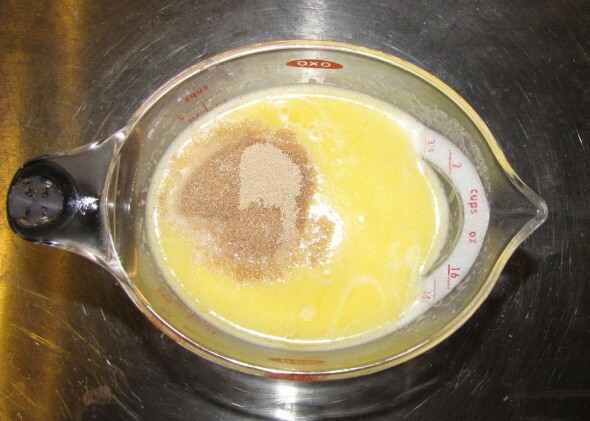 Place melted butter in second bowl. Set aside. 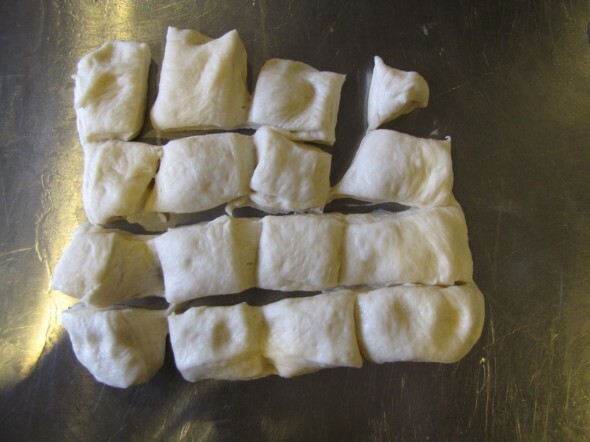 Gently remove dough from bowl, and pat into rough 8-inch square. 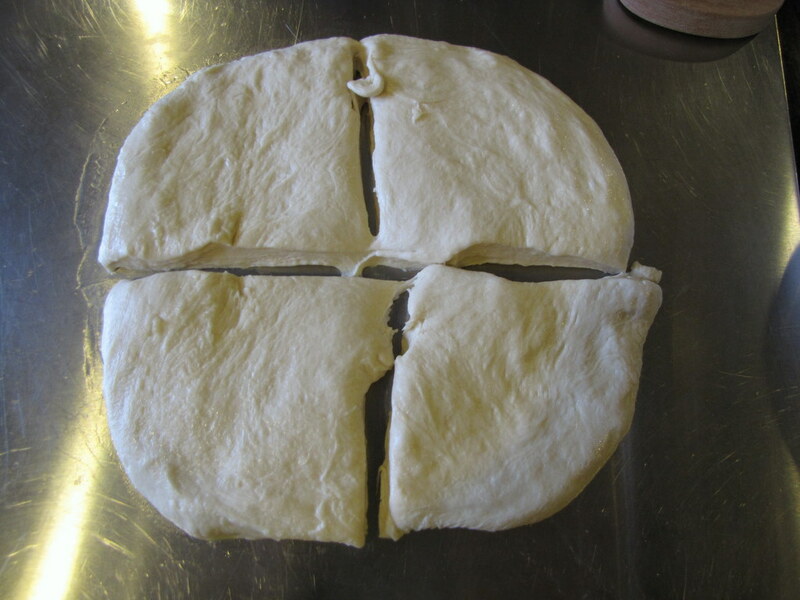 Using bench scraper or knife, cut dough quarters. Cut each quarter into 16 pieces, for a total of 64 pieces. 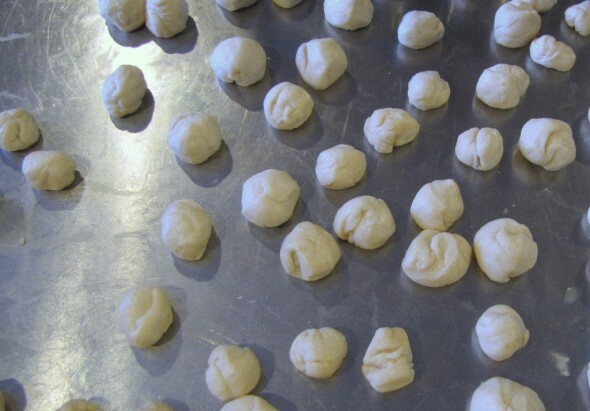 Roll each dough piece into a ball. Working one at a time, dip balls in melted butter, allowing excess butter to drip back into bowl. 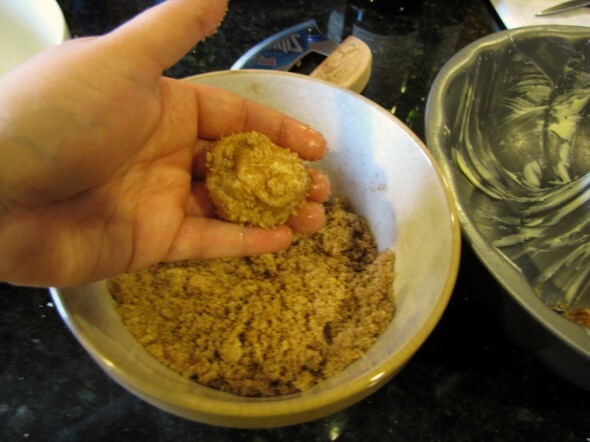 Roll in brown sugar mixture. 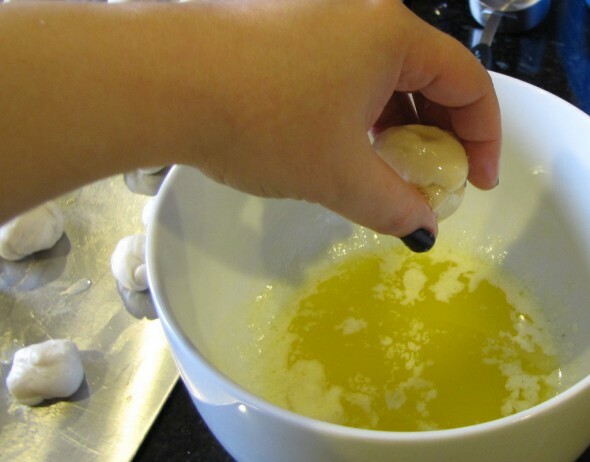 Layer balls in Bundt pan, staggering seams where dough balls meet as you build layers. 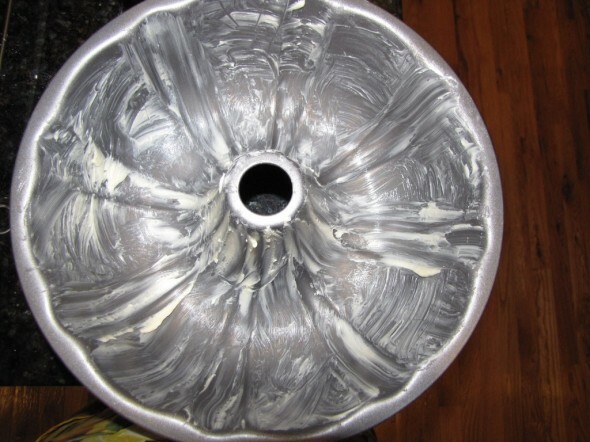 Remove pan from oven and heat oven to 350 degrees. Unwrap pan and bake until top is deep brown and caramel begins to bubble around edges, 30 to 35 minutes. 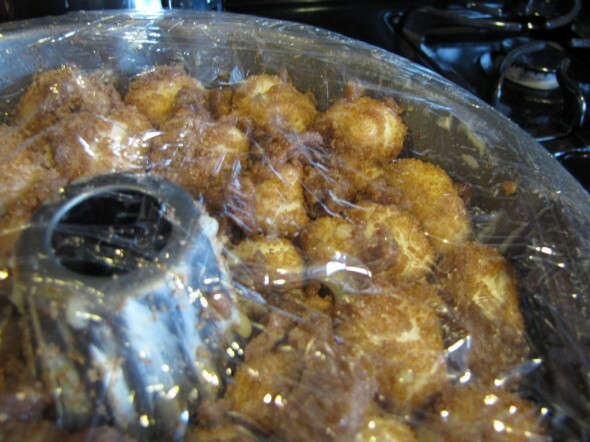 Cool in pan for 5 minutes, then turn out on platter and allow to cool slightly, about 10 minutes. 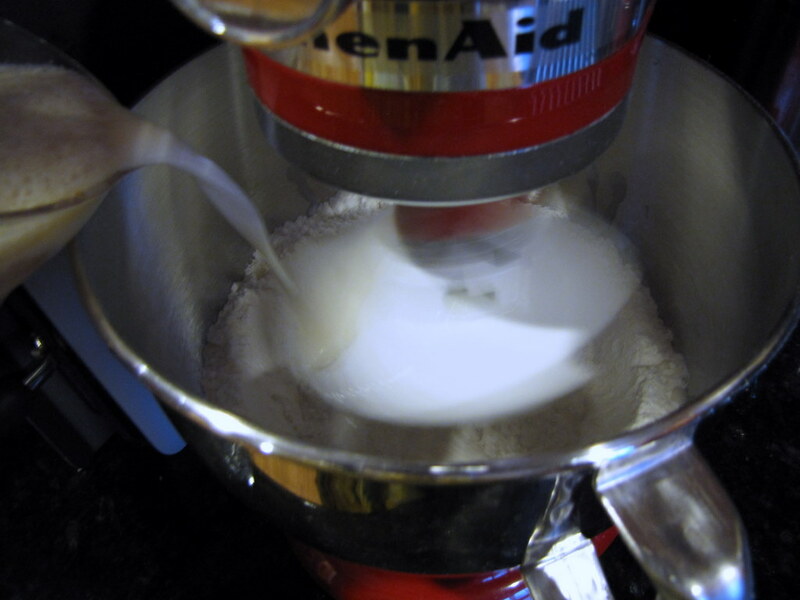 While bread cools, whisk confectioners’ sugar and milk in small bowl until lumps are gone. Using whisk, drizzle glaze over warm monkey bread, letting it run over top and sides of bread.